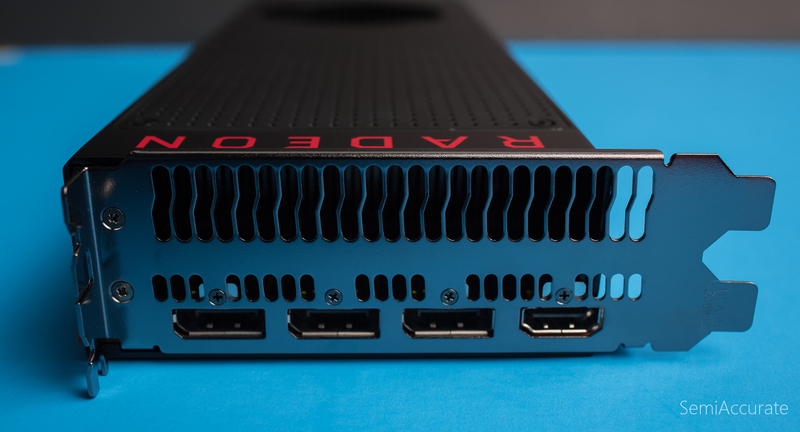 In this article we’ll look at the air-cooled version of AMD’s Radeon RX Vega 64. 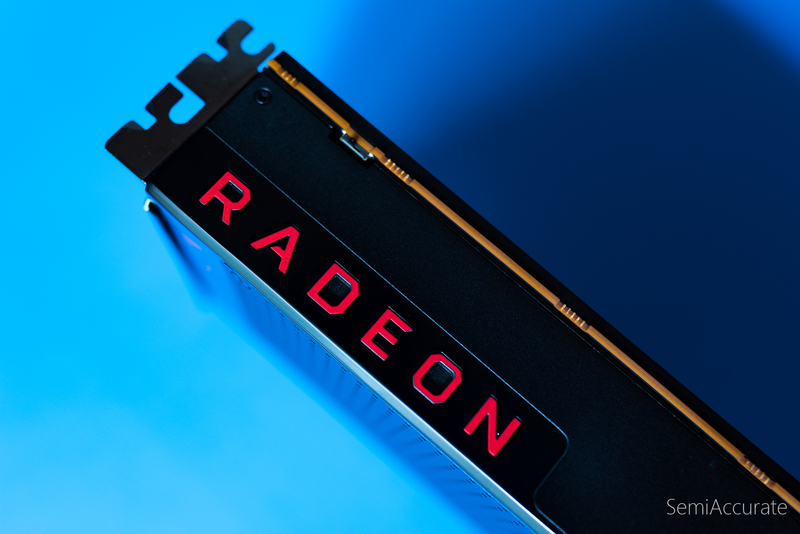 This is the fully enabled version of AMD’s new Vega 10 and if the pictures in this article seem a bit familiar that’s because it shares its reference design with the RX Vega 56 GPU that we reviewed yesterday. AMD is positioning the RX Vega 64 to go head to head with NVIDIA’s GeForce GTX 1080 GPU at the $499 price point. Given that the RX Vega 56 is a solid offering at its price point I’m excited to see how a full-fat Vega 10 GPU performs. 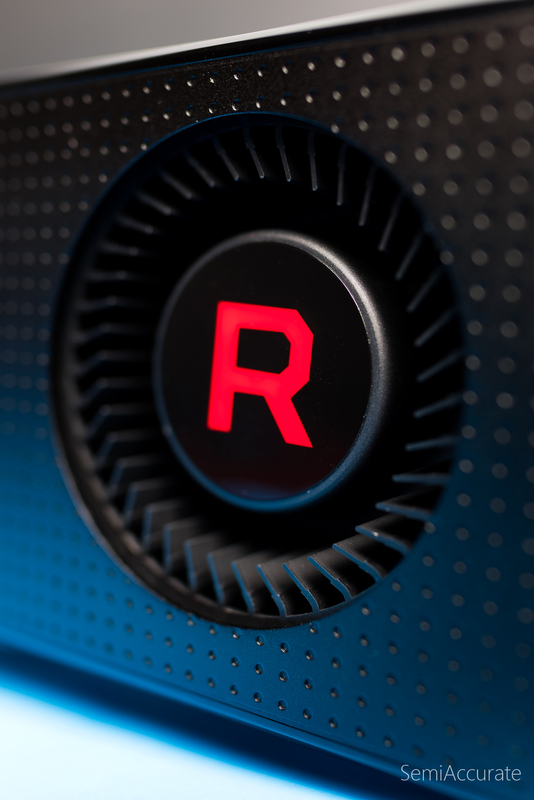 The RX Vega reference design is another entry into a storied line-up of blower-style GPU coolers that we’ve all come to know and love on AMD’s high-end GPUs. Just to recap some of the greatest hits we have the “Batman” cooler from the HD 5870, the “Batman V2” from the HD 7970, and who could forget the R9 290X’s “Racing Brick”. AMD’s opted to class things up a little bit with RX Vega in the same way they did with the R9 Fury series and last year’s Polaris line-up; more matte black plastic and some LEDs. It’s certainly not as striking as the brushed metal designs that AMD reserves for its special edition and professional parts but its solid offering. Like all blower coolers this one gets plenty loud at 100 percent duty, but in normal gaming scenarios its unremarkable. On the I/O bracket we have three DisplayPorts and an HDMI port. This seems to be AMD’s go-to configuration when they need to reserve the second bracket space for air flow. All though it’s not exactly the most relevant question I am very interested to see how the new Vega 10 chip compares to AMD’s old Fiji chip. RX Vega 64 establishes a clear 11 to 15 percent lead over the R9 Fury X in our 1080P testing. This gap widens further as we move up to 4K where the RX Vega 64 is 23 to 25 percent faster. In terms of power consumption AMD has pushed forward with the RX Vega 64 particularly in idle scenarios while more or less holding the line under load. This is not the kind of performance advancement you might expect to see given that the RX Vega 64 is clocked nearly 50 percent faster that the Fury X with the same number of compute units. It appears that AMD had to give up a considerable amount of performance on a per compute unit basis in order to enable Vega’s clock-speed uplift. It’s worth noting that compute and particularly VR performance are more substantially improved when comparing the RX Vega 64 to its predecessor. With all that said the RX Vega 64 isn’t quite what I was expecting. Rather than demonstrating the advantages of AMD’s architectural improvements and the benefits of the 14nm process node AMD seems to have just managed to produce a refined version of the Fury X. This is an even harder pill to swallow given the aggressiveness of graphics marketing group over the past year. But setting those feelings aside for a moment lets see how RX Vega 64 compares to the RX 580. The RX Vega 64 is anywhere from 24 to 31 percent faster than the RX 580. This is a pretty good result meaning that an RX Vega 64 could be a viable upgrade from an RX 580 depending on your use-case. It’s worth point out that the RX Vega 64 largely fails to distance itself from the RX 580 in both our Total War: Warhammer benchmark and our Civilization VI benchmark. Why is this the case? We have no idea. But it certainly lends some additional credence to the theory that RX Vega’s drivers are a bit immature. Moving to 4K the gap once again grows even wider to the point where the RX Vega 64 is 55 to 59 percent faster than the RX 580. Looking at compute and VR performance the gap is similarly large. Moving to power consumption we can see that idle and lightly loaded power consumption is similar between these two GPUs. But the RX Vega 64 draws 21 to 27 percent more power under load. This makes sense given that the RX Vega 64 is rated for a 295 Watt board power limit and the RX 580 is down around 200 Watts. What to make of AMD’s Radeon RX Vega 64? Compared to the Fury X it’s a rather underwhelming update. Compared to the RX 580 it clearly drives the performance of AMD’s 14nm GPUs up into a new market segment. In terms of experience the RX Vega 64 comes tantalizingly close to consistently delivering on the 16.7 ms average frame-time required to drive 4K 60 Hz display. Without AA and with slightly lowered quality settings you can reasonably drive that kind of display with an RX Vega 64. At 1080P the situation is similar where the RX Vega 64 consistently falls just short of the 8.3 ms average frame-time required to drive a 120 Hz display. 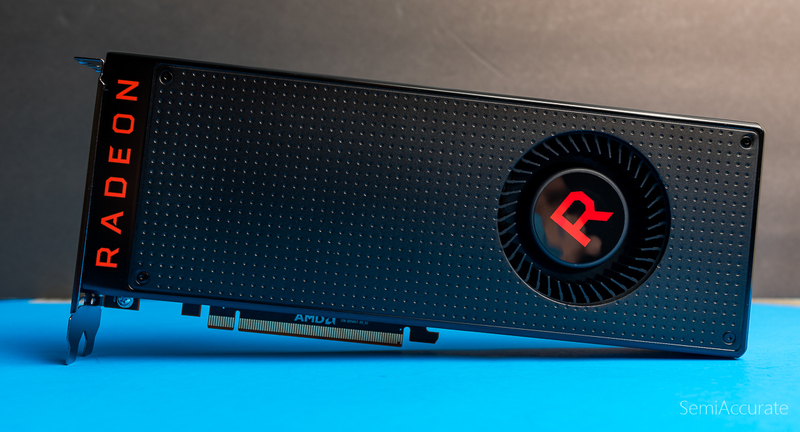 Again without AA and with some lower quality setting it can meet this mark, but it’s unfortunate that at the highest quality settings AMD’s RX Vega 64 leaves us wanting for more.